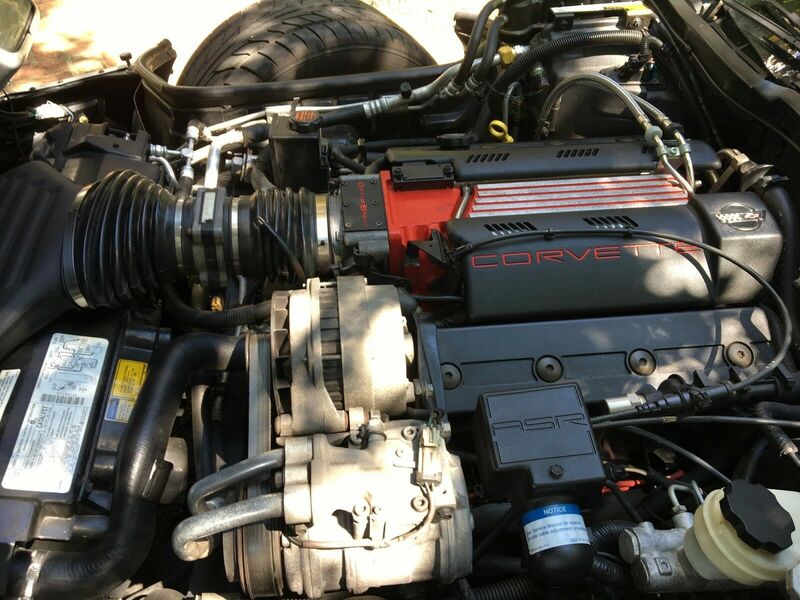 This 1996 Collectors Edition Corvette is available on Ebay. Few fourth-generation Corvettes are more desirable than the 1996 Collectors Edition and Grand Sport models. 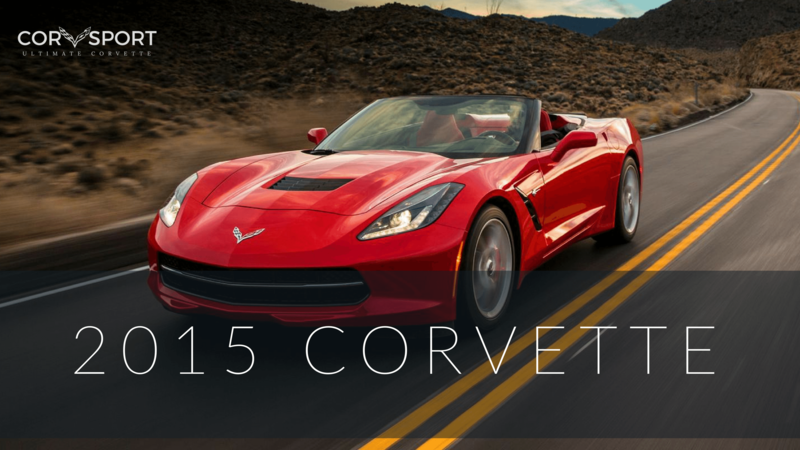 These final special-edition Corvettes were built as a send-off to the fourth-generation model. 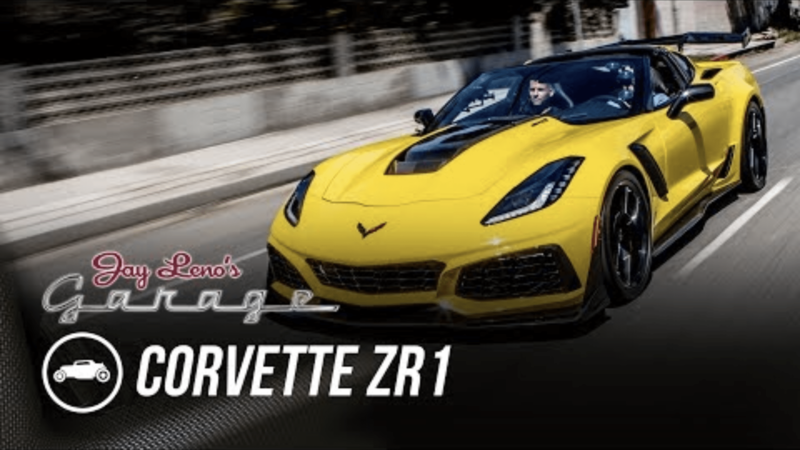 These Corvettes were the most powerful, most refined and the most sought-after model year of the C4 generation, partly because they were a well-conceived special edition model and partly because of the LT4 engine that came standard in models equipped with a manual transmission. 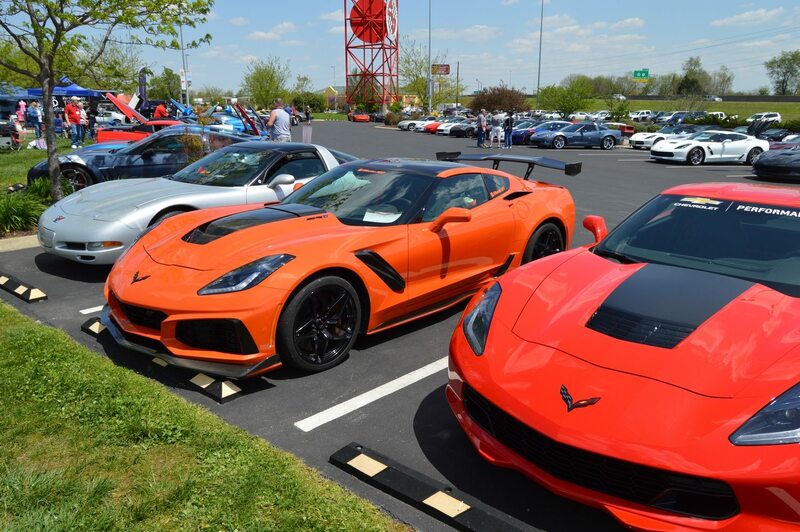 In the years since their introduction, both the Silver Collector’s Edition Corvette and the Admiral Blue Grand Sport Edition have only increased in value and rarity, which has helped them maintain their value. 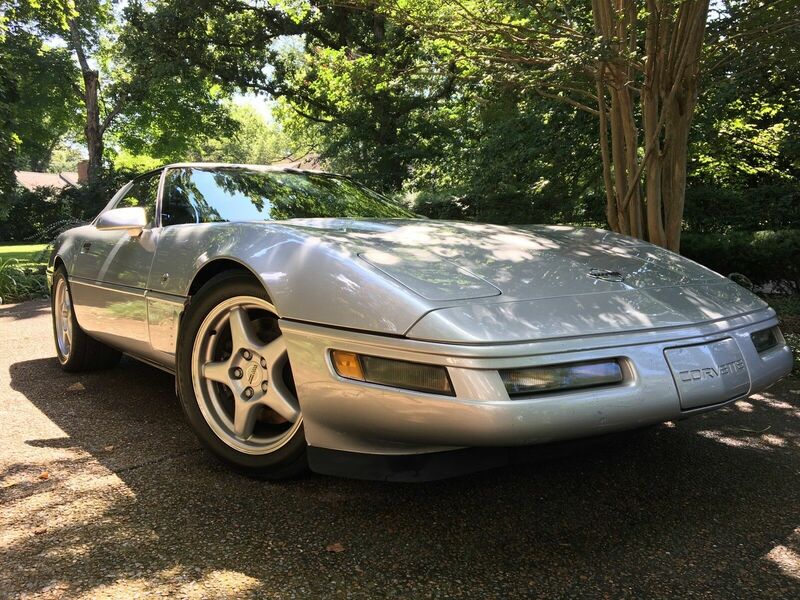 This 1996 Collectors Edition Corvette features an LT4 engine and a six-speed manual transmission. 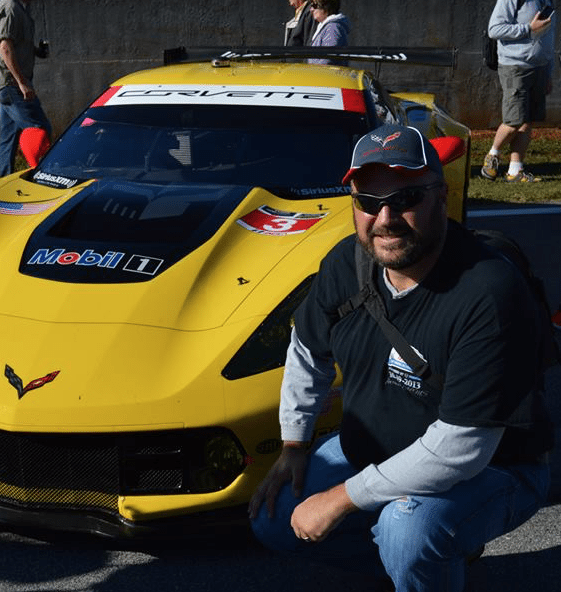 Per the posting, the LT4 engine is in excellent condition and runs smoothly, producing plenty of power as when new. The six-speed manual transmission shifts seamlessly. The car handles and drives like new. Although the car has 78k miles on the odometer, the car has been meticulously maintained, and has not wanted for any repairs. 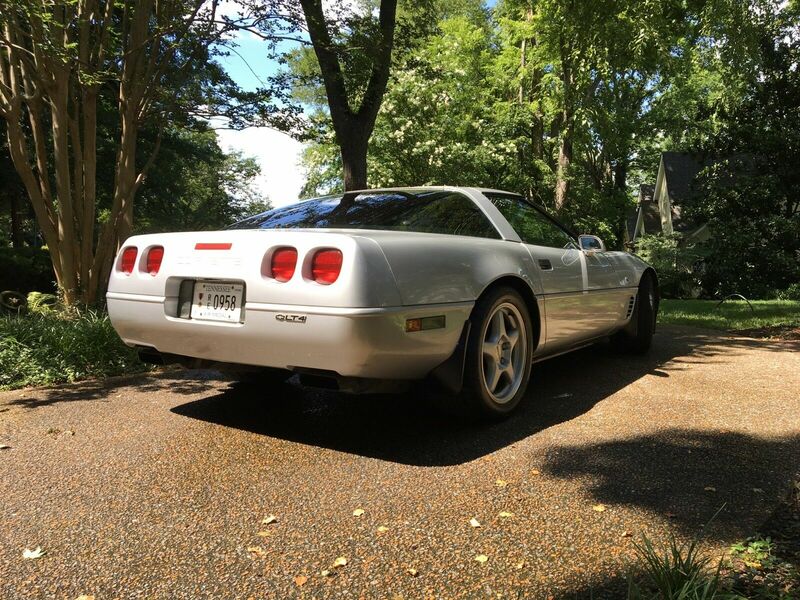 Mechanically, this 1996 Collectors Edition Corvette is all-original except for the installation of a B&M short-throw shifter that was installed at 69k miles. The car features new tires and a new catalytic converter. 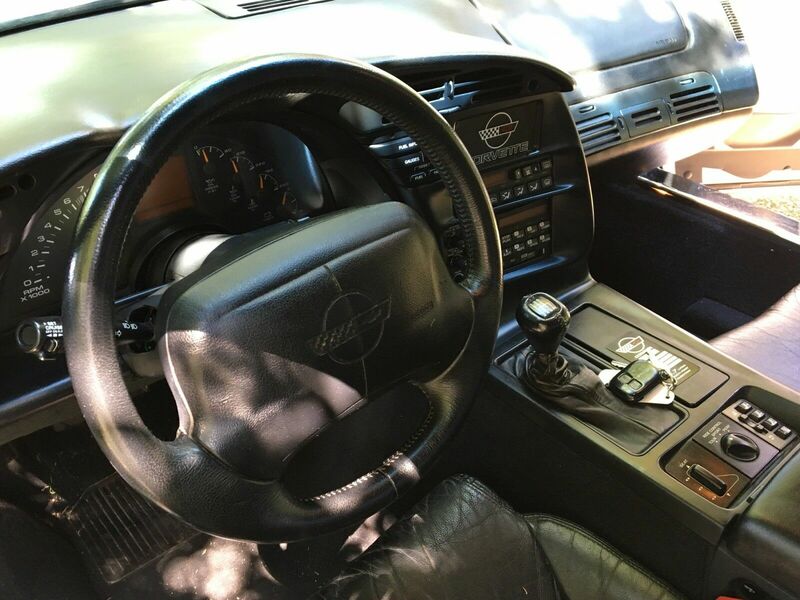 The interior of the 1996 Collectors Edition Corvette currently for sale on Ebay. Moving to the car’s interior, it appears to be in excellent shape for its age. The driver’s seat shows some of the stress marks you’d expect to see in 23 year old leather, but the seams appear to be in good shape and there are no identifiable tears in the leather itself. The car features a BOSE AM/FM Radio with CD player, a six-way power driver and passenger seats, fully functional digital and analog gauges, ice-cold air conditioning and much more. The car comes with its original build-sheet that details all of the original equipment it came equipped with. It also comes with the painted targa top. 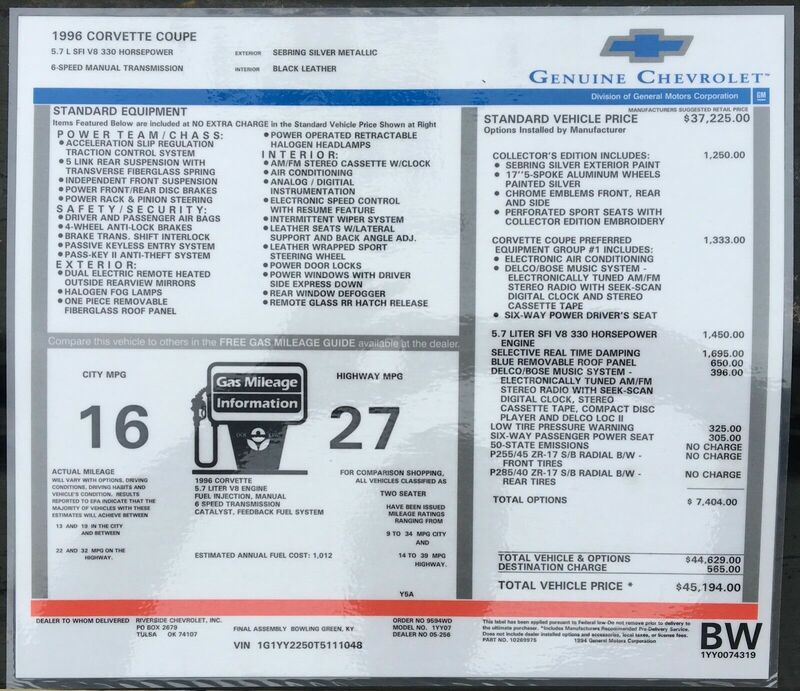 Original Build Sheet for this 1996 Collectors Edition Corvette. 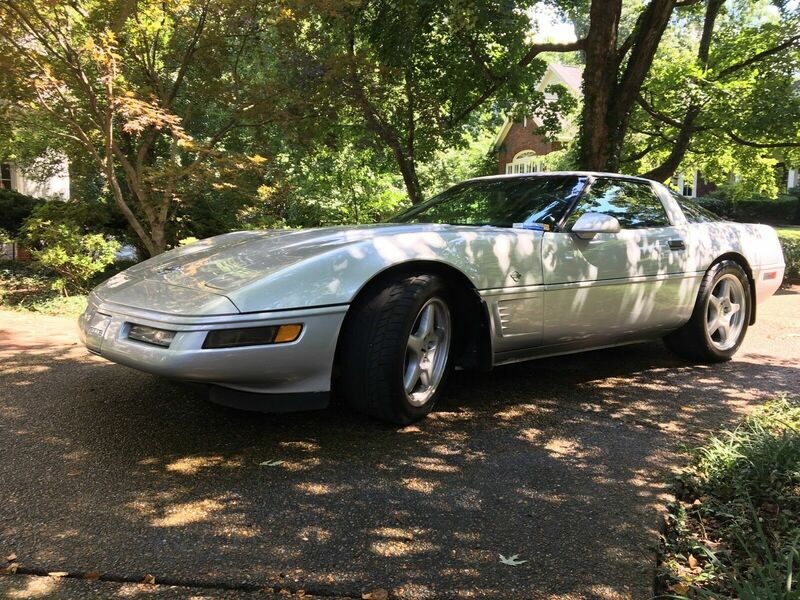 The Ebay seller of this 1996 Collector’s Edition Corvette, “Dewarne” is asking $11,500.00 for this car. 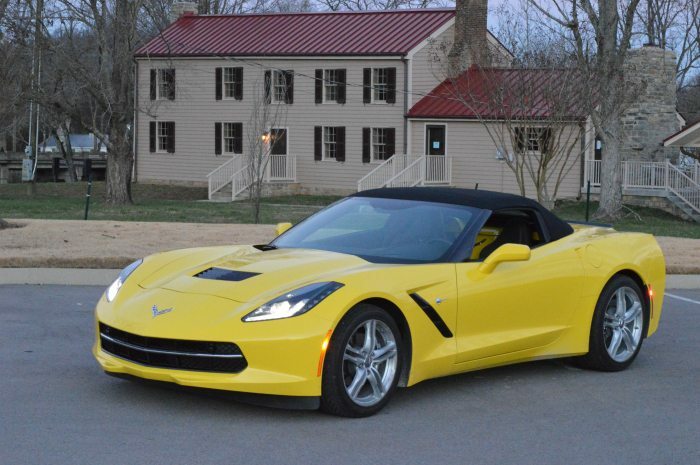 This asking price is on the higher-end of the Kelly Blue Book value indicated for this car, but the seller may entertain a lesser bid amount (there is a reserve on this auction, but we have no way of knowing what the actual reserve is on this car.) At the same time, these cars are beginning to show an increase in value as they continue to age, and we believe this example is still worth giving a closer look.